We feel so honored to be featured on one of our favorite wedding blogs today. 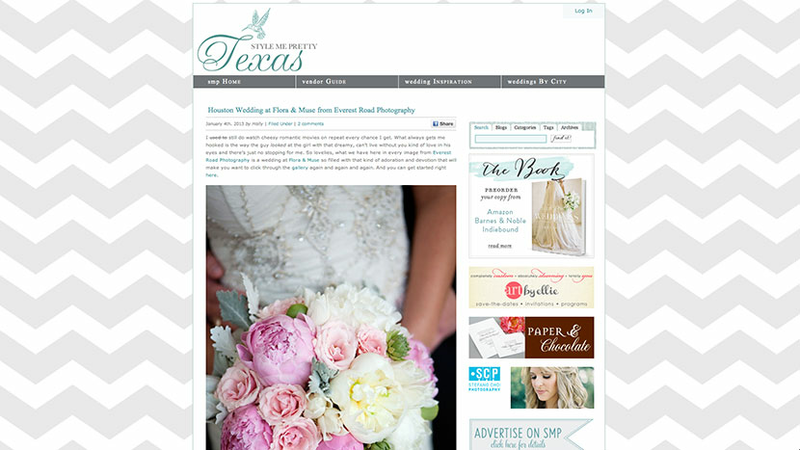 Go check out Style Me Pretty Texas and see the fabulous wedding of Lauren and Brian DeSpain! Hop on over and let them know much you enjoyed it! Wow! So awesome! Congrats guys! So very happy the word is getting around about the talents of Everest Road!!! Great Job, Ladies! You have an awesome future ahead of you. Get ready for lots of calls.